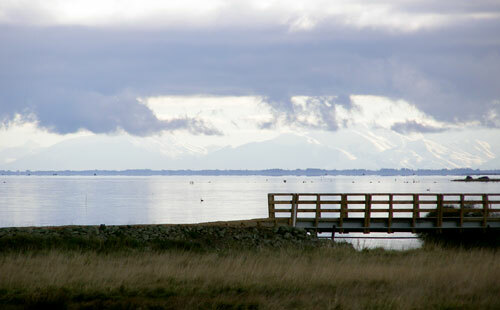 South of Banks Peninsula is Te Waihora (Lake Ellesmere), Canterbury’s most significant wetland. It has been drained for various purposes over the years, and is now half its original size. In addition, its waters have been polluted and overfished. Despite these changes, it remains an outstanding wildlife habitat.